Freelance translator is not an easy job. Not only do you have to figure out best practices of your core offer, but also learn how to approach prospects and close clients, set up all your processes including invoicing and time management, and deal with setbacks. Therefore, it is very important to choose the right tools that provide quality services and help you grow your business. The Number 1 most valuable tool for translators is the New Editor. The New Editor is a user-friendly CAT Tool in which you can perform all the linguistic work of your projects, individually or collaboratively. It features different tools and utilities that make common tasks for linguists and proofreaders easier, communicating with each other and completing their jobs easily and quickly. One of the more recent updates includes the Global Search add-on to locate words, segments, or portions of a sentence within project translations, translation memories, and glossaries within the system. We also include a very useful feature that allows you to translate video subtitle text files directly in Wordbee Translator. It also allows you to copy and paste YouTube video links directly in the application for easier processing. With the QA Issue Resolver within the Editor, you can focus on translation segments with QA issues in a dedicated space and fix them in the same window with minimal interaction. The new add-on also includes a couple of enhancements to general QA tasks. For instance, the “forbidden terms” rule specifies which forbidden terms were found, and the Smart Assistant feature correctly identifies character classes for full-width characters. The add-on helps you drastically reduce QA process time and helps you to concentrate on your initial QA task. By running the “Issue Resolver” from the very beginning, you can see how many errors have been detected and fix them in your translated document in a single window. With the help of Wordbee Translator, you can centralize and manage all your linguistic resources in one place. Linguistic resources, such as translation memories (TMs), store source texts and their translations by dividing them into segments. When you translate newer texts, you can use translation and localization programs to retrieve and suggest related segments and translations. Multiple translators can work on different documents within a project using the same memories and glossaries. Resources are multilingual, allowing translations to be reviewed in other languages. Pre-translated texts with new contexts are directly flagged for review. Linguistic resources can also be updated to improve quality, consistency, and management throughout projects. Global Search can be used internally, or your clients can access the tool via the Client Portal and send queries for the resources that have specifically been enabled for them. To make the feature more accessible to WBT users, the Wordbee team has developed an add-on that’s now available directly within the interface of the New Editor. The Global Search feature provides a time-saving way to search for segments, find words, and make changes with ease, regardless of where they are in the system. For example, if your project has a word or segment that has been wrongly translated, Global Search can be used to locate it across all projects and resources. It also can be used to quickly correct the translation without having to access each individual resource or translation in the system. Using Wordbee Translator to automate your invoice processing has many advantages: for example, reduced costs associated with manual data entry and faster processing times. 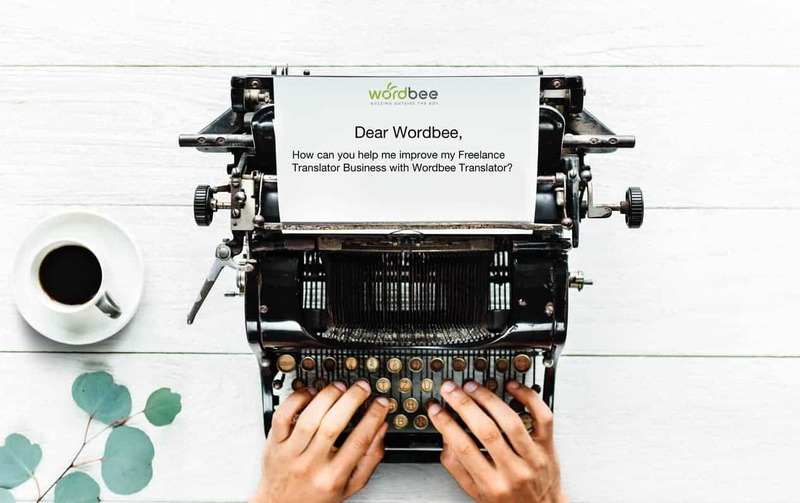 Wordbee manages the entire life-cycle of translation projects, including invoice production, so within the Wordbee Translator, quotes and invoices can be easily generated for clients. Don’t hesitate to check our online documentation for more insights and tips on how to improve your freelance translator empire!